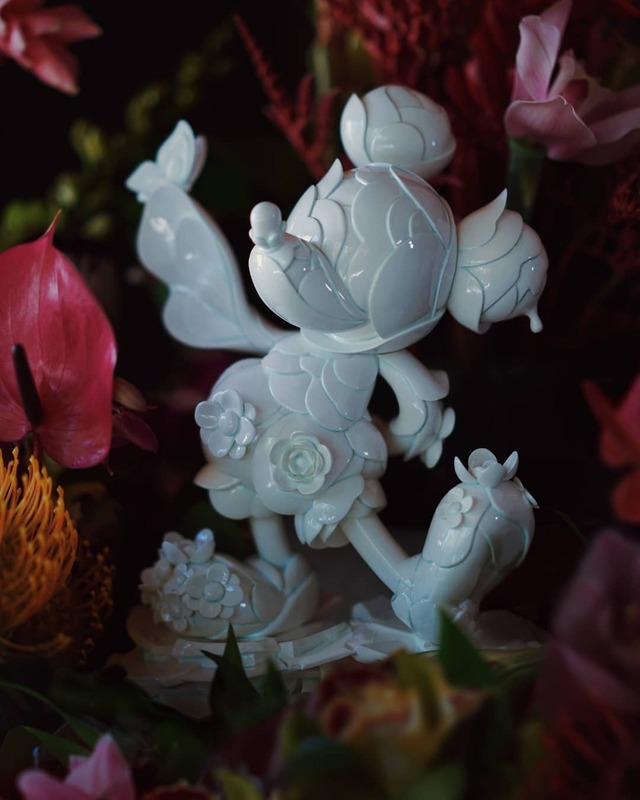 Tomorrow (November 10) between 11am-1pm, James Jean (interviewed) will be signing and releasing the Mickey & Minnie Mouse limited edition sculpture set at BAIT Los Angeles to celebrate the 90th birthday of the two Disney cartoons. 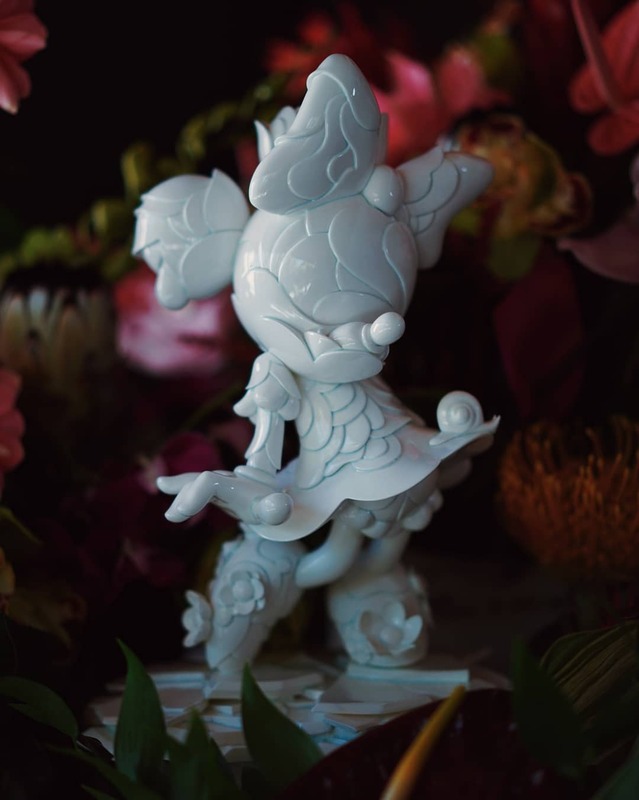 Created with Good Smile Company, the project transforms the two iconic characters into porcelain succulents frozen in time, shedding and regrowing petals after decades of constant evolution. 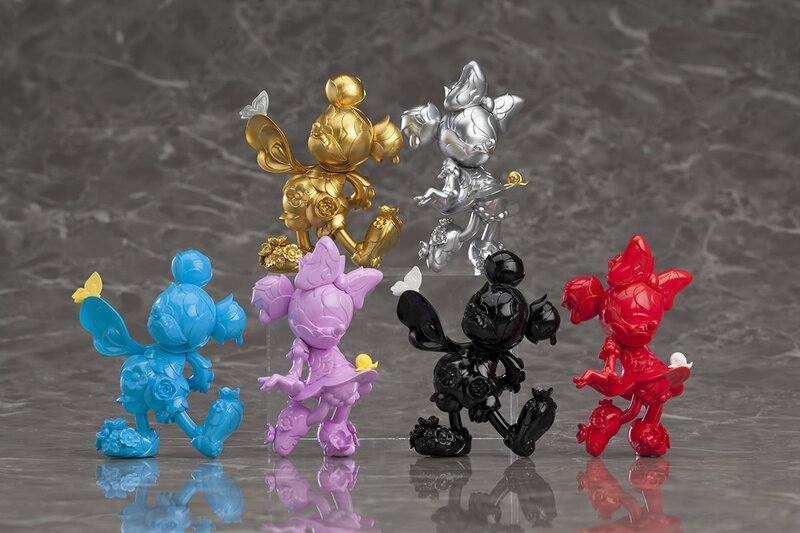 Produced in an edition of 500, with a $1500 price tag for each set, these figures can also be purchased online here along with a blind box figure set (seen below). 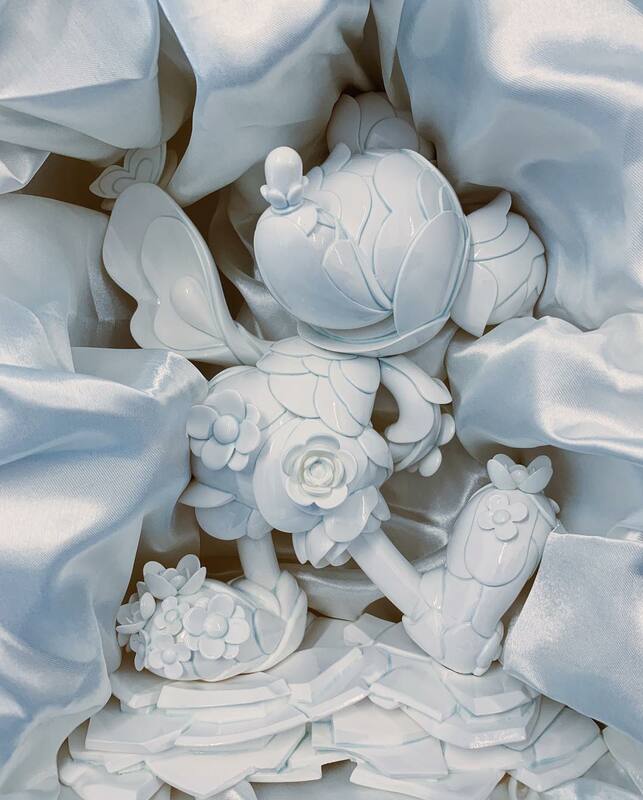 Also, Jean’s photographs and original sketches will be on display in NY from Nov 8-Feb 10 at the Mickey: The True Original Exhibition. 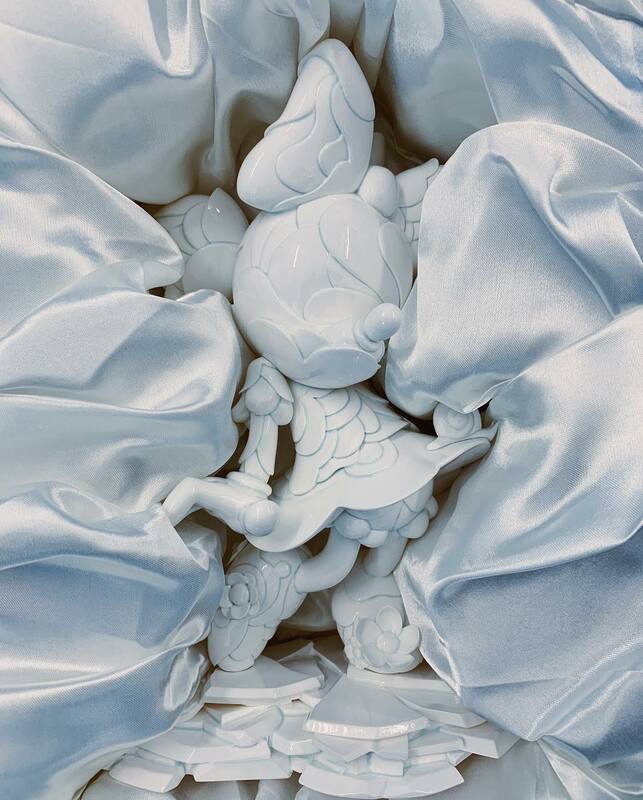 Categories: Art products, Contemporary Art, Low Brow & Pop Surrealism, Releases, Sculpture, Shows & Events. 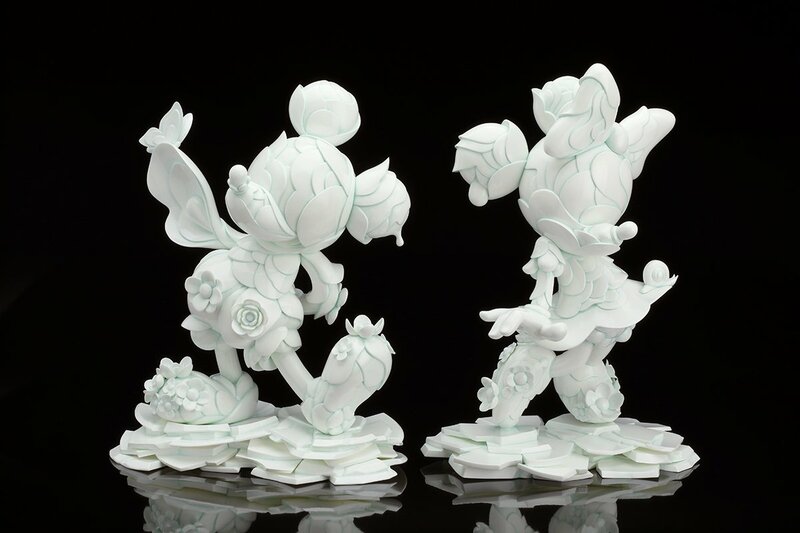 Tags: Art products, Contemporary Art, James Jean, Low Brow & Pop Surrealism, Releases, Sculpture, slider-featured.